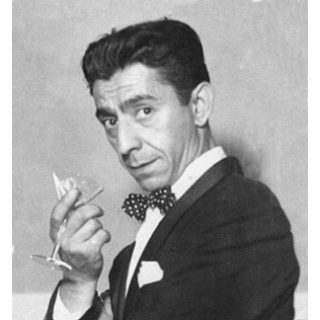 Although Esquire initially hired Al Moore to replace Vargas in the late 1940's, it was Ernest Chiriaka who took over the magazine's twelve-page calender from 1953 to 1957. The calender continued to be the largest selling and most popular in the world! Born in 1913, Chiriaka got a job painting movie and theater posters for the Associated Display Company in New York City in the early 1930s, even though he had no formal art training. Realizing he had much to learn, he enrolled in the Art Students League and then moved on to study at the Grand Central School under Harvey Dunn, his greatest influence. In the late 1930s, he worked for the pulps, doing front-cover paintings mainly of Western subjects. Among the "slicks" that employed him were The Saturday Evening Post and Cosmopolitan. During the 1940s and early 1950s, he created front-cover paintings for American Weekly, the Sunday-magazine supplement of the Hearst newspapers. Chiriaka's first pin-ups were for Esquire in 1952. Working in gouache, he produced works that had very distinctive skin tones, especially in their printed form. Chiriaka contributed pin-ups to the 1953 Brown & Bigelow Ballyhoo calendar and later did three additional pin-ups that the firm published as seperate calendars. He also traveled often to Hollywood to paint film stars. In the late 1930s, Chiriaka had devised wonderful front covers for Western pulp magazines. He later went on to create front-cover Western subjects for the paperback book market, working mostly with Pocket Books and Cardinal Editions. When his career in commercial illustration ended, Chiriaka brought his love of the Old West to the field of fine art. His distinctive style, influenced by Impressionism, established him as one of the greats in the field of contemporary Western painting.